Ruminations: Squidlings of the World, UNITE! It's that time of year when I shamelessly promote the best Christmas mascot since Rudolph the Red-Nosed Reindeer and Frosty the Snowman... TWANGLES, the Christmas Squid! Seven-tenths of the Earth's surface is ocean, and until recetnly it has been neglected on this most magical of holidays. SQUIDLINGS OF THE WORLD UNITE! Jason Morris has put this gem on Bandcamp as a no-minimum pay-what-you-want download. So pay zero! OR, pay what it's worth! Your choice! Email this song to your local stations and give them something fresh and new to put on the air for this holiday season! Heck... beg them to put it on. Organize an email bombing campaign! 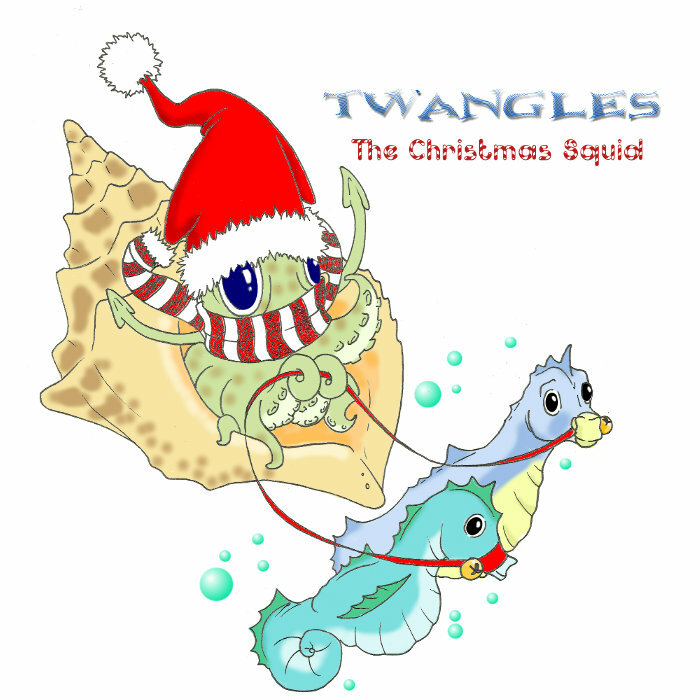 It's the least you can do for TWANGLES, the Christmas Squid! If the station doesn't believe that their allowed to play this, it's easy enough to clear it with Jason himself using the Contact Jason Morris link on the lower right of the Bandcamp page. And if that doesn't work, just remind them that with Global Warming on the rise, we may need to rely a lot more on Twangles in the future! They need to get on his "nice" list NOW.